Solidifying long-term partnerships with stakeholders will be key to CBP successfully implementing the biometric capability nationwide as mandated. While Customs and Border Protection (CBP) “made considerable progress developing and implementing a biometric capability to track air passenger exits using facial recognition technology” in 2017 through its Biometric Entry-Exit Program pilots at nine airports, and demonstrated ability using the technology to match 98 percent of passengers’ identities at departure gates, it also “encountered various technical and operational challenges that limited biometric confirmation to only 85 percent of all passengers processed,” according to a new Department of Homeland Security (DHS) Inspector General (IG) audit report. 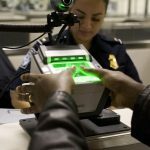 Biometric Update reported last spring that the IG had announced CBP’s efforts to develop and implement a biometric exit capability were being investigated to “assess whether biometric data collected at [CBP] pilot locations has improved DHS’s ability to verify departures” in order to secure and manage US borders, the IG announced. DHS stated it is using a biometric verification system to confirm the departure of selected travelers at one airport and released its 2016 overstays report in late February 2017, according to GAO, which reported on CBP’s progress in its 2017 audit report. But the IG’s office then got involved to investigating CBP’s problems with the program. The IG’s audit was opened to investigate CBP’s progress, widespread implementation plan, the problem’s continuing problems, and when they will be resolved. Since GAO’s initial 2013 report on DHS’s efforts to develop a biometric exit capability to collect biometric data, such as fingerprints, from individuals exiting the United States, “CBP has been conducting four pilot programs to inform the development and implementation of a biometric exit system,” GAO said in its 2017 audit report. 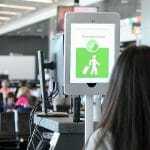 CBP originally stated 2018 was its goal for initial implementation of a biometric exit capability in at least one airport, and was working with airlines and airports on strategies for using public/private partnerships to reduce costs and give industry more control over how a biometric exit capability is implemented at airport gates. Given the limitations of biographic data, congressional mandates — some issued more than 20 years ago – it was recognized that an automated entry and exit control system to match the arrival and departure records of foreign visitors entering and leaving the United States, and to enable identification of visa overstays, needed to be developed. A major impetus for developing a biometric entry-exit system was the Consolidated Appropriations Act of 2016, in which Congress established a visa fee that is supposed to provide up to $1 billion in funding over a 10-year period. Another key driver is Executive Order 13780, which directed DHS to expedite implementation of a biometric entry-exit system. In 2013, CBP assumed responsibility for implementing a biometric solution within DHS. CBP’s Office of Field Operations took the lead in this initiative, establishing an Entry-Exit Transformation Office in May 2013. In March 2017, CBP changed the name of the office to the Biometric Entry-Exit Program Office. As of September 2017, the office was fully staffed with more than 70 personnel. 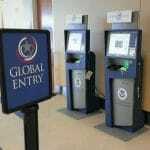 CBP’s Office of Information Technology helps the program office deploy and support the biometric exit capabilities developed. An early goal of the Biometric Entry-Exit Program was to implement a biometric exit capability to support 30 international flight departures per day by the end of December 2018. Over time, it was planned to enhance and incrementally deploy biometric capabilities across all modes of travel — air, sea, and land — by fiscal year 2025. By implementing a biometric exit solution, CBP aims to increase national security by achieving higher levels of assurance of foreign visitor identities, with minimal impact on the traveling public. CBP also expected to improve the reliability of data used to identify overstays and travelers who entered the United States without inspection. In 2004, DHS was required to develop a plan to accelerate full implementation of an automated biometric entry-exit system. In various reports, GAO identified a range of long-standing challenges DHS has faced in its efforts to develop and deploy this capability and to use entry and exit data to identify overstays. For example, in 2013, GAO recommended DHS establish timeframes and milestones for a biometric air exit evaluation framework, and to document the reliability of its overstay data. DHS concurred with the recommendations and addressed them. “Without the software [to] verify the [cryptographic] digital signatures stored on the ePassport,” CBP can’t “determine if the data stored on the smart chips has been tampered with or forged,” McCaskill and Wyden said. CBP officers can download and read the information on the RFID chips in US passports, but they can’t authenticate it. It’s a security gap which disallows CBP to know whether the data placed on the chip by the Department of State hasn’t been “altered or forged,” GAO stated in its January 2010 audit report, Better Usage of Electronic Passport Security Features Could Improve Fraud Detection. When the State Department began issuing ePassports with embedded computer chips that store information identical to that printed in the passport, it also developed a comprehensive set of controls to govern the operation and management of a system to generate and write a security feature called a digital signature on the chip of each ePassport it issues. When verified, digital signatures provide reasonable assurance that the data placed on the chip by the State Department have not been altered or forged. But while CBP officers have access to INTERPOL’s Stolen and Lost Travel Documents (SLTD) database, the question some authorities have asked, is can they detect stolen and lost ePassports contained in the more than 40 million entries on millions of SLTDs? Presumably, INTERPOL says, “With one single swipe, a border control officer can verify if a document is reported stolen or lost nationally and internationally,” but without the capability to fully verify the digital signatures of all ePassports, “it’s a crap shoot how many have … or are still getting through,” a DHS intelligence official said on background. The IG issued five recommendations at the time, “all of which remained open as of April 2018,” the new audit report states. Sprint 8 also incorporated real-time data exchange from TVS to CBP officers’ digital cameras and mobile devices in order to provide them with immediate photo matching results. 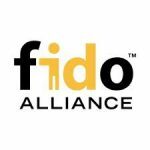 They receive notification of non-matches on mobile devices through the Biometric Mobile Application, or “BE-Mobile,” which also read passport barcodes, collect fingerprints, and check alerts to determine whether a passenger should be prohibited from flight boarding. 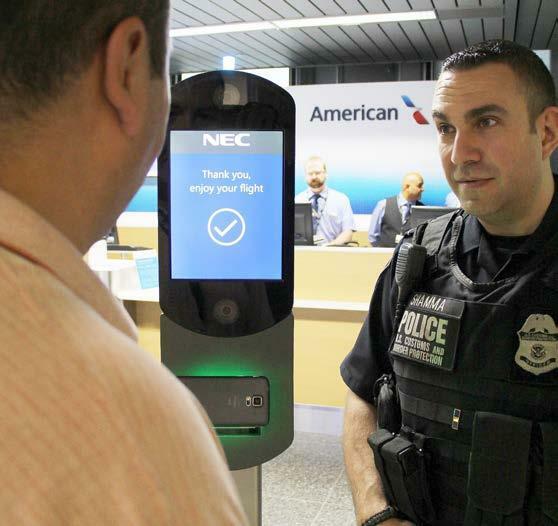 And, “CBP may not have all the funds it needs to cover the cost of implementing the biometric capability over the next 10 years.” Achieving full operating capability for the biometric program by 2021 may rest in the hands of airports and airlines “purchasing the digital cameras needed to take passenger photos at boarding gates,” the IG said. Also, the IG noted, CBP will not have an “adequate number of personnel to achieve full operating capability at 20 airports nationwide by 2021 if the airlines [do] not agree to provide staff support,” and that it’s unclear what role the Transportation Security Administration will play in future biometric air exit efforts.